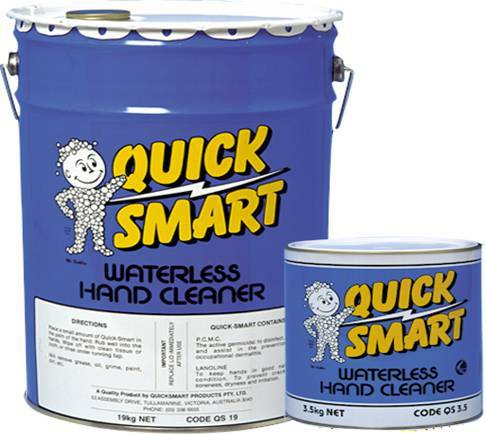 Our Quick Smart Waterless Hand Cleaner is a heavy duty solvent based gel hand cleaner developed to remove a wide range of industrial soils, oil, grease, grime, printing ink, oil based paints etc. It cleans gently and thoroughly with or without water. Contains lanolin to help condition hands against cracking, soreness, dryness and irritation.